History is recounted by the wealthy and powerful. Throughout America’s history of racism, slavery and segregation prohibited blacks from being protagonists in the Christian narrative. For example, there is often mention of Jonathan Edwards and John Frame in the American Christian story, but rarely an acknowledgement of John Chavis or John Jasper. In general, the American Christian story told in most evangelical college and seminary classrooms includes African Americans as marginal characters and only in relation to the dominant culture. This results in false perceptions of God’s work—namely, that God primarily works through the wealthy and powerful. People assume that the white protagonists have everything to teach and little to learn from those who have been excluded. Learning about historical figures like African-American pastor Charles Octavius Boothe (1845–1924) not only shows God at work outside the dominant culture, but it also exalts Christ as the redeemer of every ethné. Who Is Charles Octavius Boothe? Boothe was born on June 13, 1845, in Mobile County, Alabama, as the legal property of Nathaniel Howard. At the age of 3, Boothe learned the alphabet from lettering on a tin plate. At 14, he was sold to attorney James S. Terrel, and he began working as an office boy at a law firm in Clark County, Mississippi. At the conclusion of the Civil War, Boothe’s passion was racial uplift in a society that denied blacks’ humanity before God and the Constitution. At the age of 22, Boothe began teaching for the Freedmen’s Bureau and lecturing regularly at Booker T. Washington’s famed Tuskegee Institute. In the early 1870s, Boothe was a preliminary member of the Colored Baptist Missionary Convention that founded Selma University. He later served as the university’s second president (1901–02). Boothe desired to promote literacy so former slaves could read the Bible for themselves and escape the oppressive interpretative practices that had made the Christian faith a tool of black subservience. While in the pastorate, Boothe maintained an itinerant teaching ministry, conducting literacy and theological training for emancipated slaves and their children. He wrote Plain Theology for Plain People as an aid for his theological seminars. Writing with the average sharecropper in mind, Boothe set out to spare others the frustration of traversing the lofty theological rhetoric of other texts. His book provides a definite system of organization while allowing simplicity of language and structure to prevail. It wasn’t until my doctoral studies that I discovered Plain Theology for Plain People. 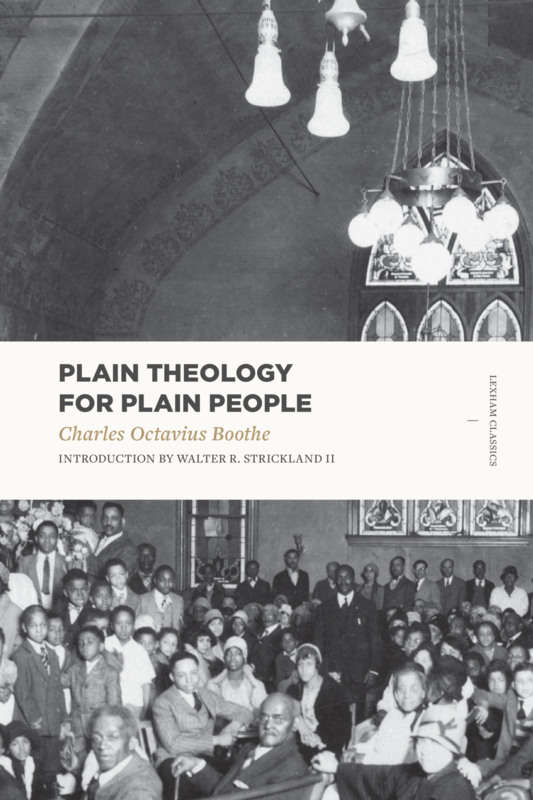 Plain Theology for Plain People is significant for my story, and it should influence the evangelical approach to theology. But when I encountered Boothe’s writing, it helped me resist the assumption that whiteness equals faithfulness, and it granted me freedom to be instructed by believers outside of my racial and cultural background without feeling like I needed to lose parts of myself in the process. Reimagining the evangelical tradition to include voices that have been obscured isn’t just good for marginalized Christians—it’s good for all Christians. The reality of white cultural dominance in evangelical spaces is consistent with what we know to be true of fallen humanity—we’re self-interested creatures. All people (white and non-white alike) are interested in the issues most pressing to us and aren’t likely to deeply contemplate the circumstances of another. So cultivating diverse church communities is important, since it necessarily expands our concerns beyond our experience. To be clear, this was not the first time that I discovered any African-American theologian, but it was the first time I discovered Boothe. Editors’ note: We invite you to join the Ethics & Religious Liberty Commission and The Gospel Coalition at a special upcoming event, “MLK50: Gospel Reflections from the Mountaintop,” taking place April 3 to 4 in Memphis, Tennessee. Walter R. Strickland II is associate vice president for kingdom diversity initiatives and assistant professor of systematic and contextual theology at Southeastern Baptist Theological Seminary in Wake Forest, North Carolina.